What is SmartDNS and what is it used for? SmartDNS is a technology that masks your computer’s IP address while surfing the internet in an effort to gain access to geo-restricted content such as Netflix, Hulu, BBC and more. In this article, I’ll go into more detail about what that means and why you should care. Obviously, SmartDNS technology is a bit more complicated than that. SmartDNS was first developed in 2012 as a direct response to geo-restricted content from the likes of Netflix and others. When I say “geo-restricted”, what I mean is content that hasn’t been licensed for viewing in a particular place or country and has therefore been blocked. This is very common, particularly in countries like China, Saudi Arabia and Russia. What is the difference between a VPN (Virtual Private Network) and SmartDNS? Should I use a VPN or SmartDNS to stream videos and view blocked websites? In the guide below, I answer all these questions as well as recommend a few of my favorite SmartDNS services to try. How does SmartDNS work? Before reading below, take a moment to watch this video explaining more. Get critical online security tips when you subscribe to AllThingsSecured on YouTube! Have you ever tried to listen to Spotify and Pandora or stream content from a website in a country where it is not available? Generally what happens is that when you attempt to stream the content, a message pops up saying “This service is not available in your region”. The same thing happens when you try to stream video content from Amazon Prime Video or watch Netflix in China. The reason for this is because the website reads your IP address and detects you are connecting from a geo-restricted area and blocks you from accessing the content. This is where a SmartDNS comes in handy. With a SmartDNS service, you are able to spoof your location, essentially “tricking” the website into thinking you are connecting from an area it actively services. Websites and services that are generally unavailable in a particular region become accessible through a SmartDNS. Your computer’s IP address never actually changes, but SmartDNS makes it appear that way. I like to think of SmartDNS like the license plate on a car. Imagine driving up to the Netflix website in a car whose license plate says “China”. Netflix looks at you with sad eyes and says, “Sorry, we can’t serve content to China-based viewers”. So you drive away and with the help of SmartDNS service, you change your license plate to say “USA” instead of “China”. 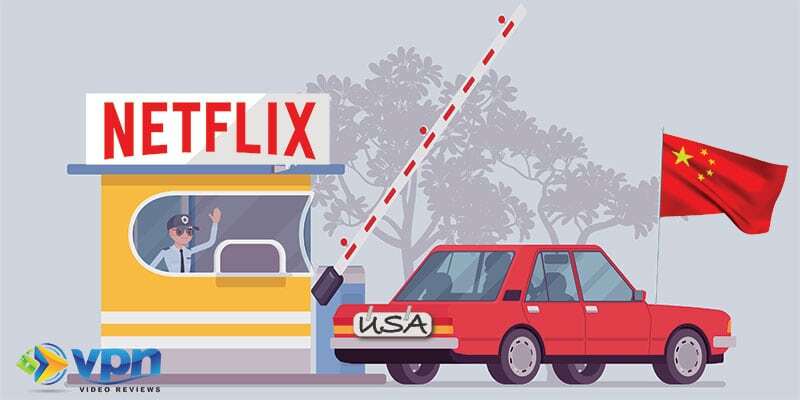 Your car never crossed the ocean, but the license plate tricks Netflix into allowing you to view their content. In the same way, with SmartDNS your physical location remains the same but the internet reads your “address location” as being in another place. SmartDNS vs VPN…Which is Better? At first glance, it seems that SmartDNS and Virtual Private Networks (VPNs) function in a similar way. How, then, are VPNs and SmartDNS different and is one better than the other? While there are certain similarities (e.g. being able to bypass geo-blocked content), VPNs and SmartDNSs are entirely different. IP Address: Recall from above that with a SmartDNS, your IP address remains the same and you are actually connecting from wherever in the world you happen to be. 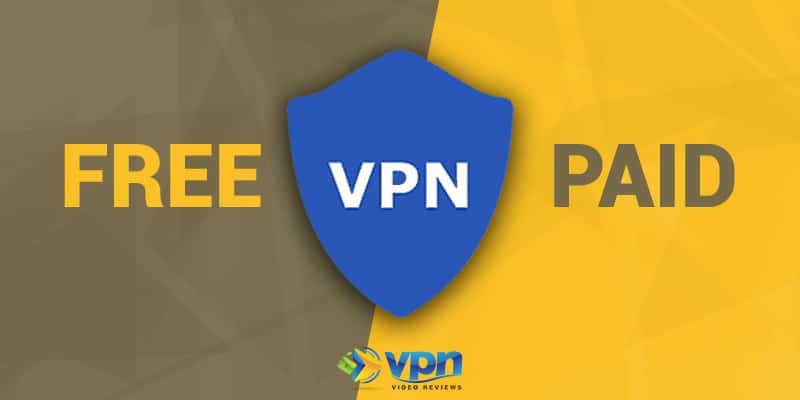 With a VPN on the other hand, you are actually redirecting your connection from a local server in the country you want to stream content from and are given a separate IP address. Encryption: A VPN encrypts your Internet connection to protect you from hackers and anyone else interested in viewing your digital information. SmartDNS doesn’t encrypt your traffic at all. Although beneficial for security and maintaining privacy, the downside to encrypting your connection is that it slows down your Internet speed and affects streaming performance. Blocked Content: Whereas SmartDNS is helpful to access geo-restricted content, if you’re looking to unblock censored content, VPN is the only way to go. Whether you’re in a country where internet is censored (e.g. China, Saudi Arabia, etc.) or you’re trying to access blocked content on your university campus, you’ll need to use a VPN instead of SmartDNS. Here’s the bottom line: The primary function of a VPN is to protect your privacy and unblock censorship while surfing the Internet. On the other hand, the primary function of SmartDNS is to bypass geo-restriction. 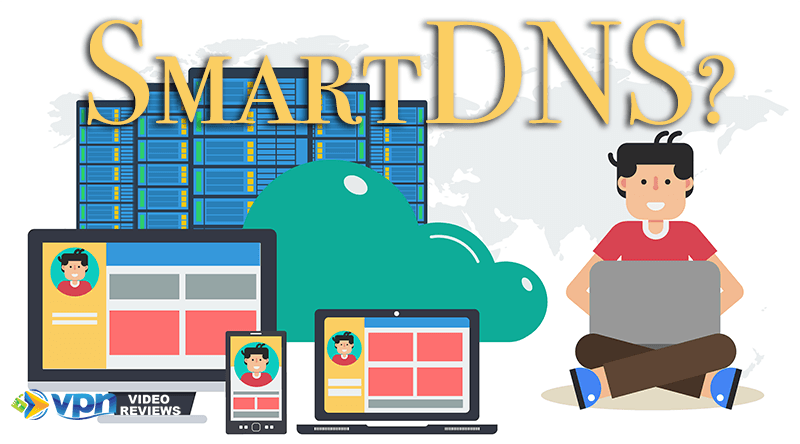 If you are less concerned with privacy and security and more interested in simply accessing geo-restricted websites and streaming content, then SmartDNS is more suitable for you. Which Devices Can Use SmartDNS? Fortunately you won’t need to crowd around your laptop or tablet to catch up on all your shows since nearly all devices can be configured to use a SmartDNS. When I say “all devices”, I’m referring to computers, smartphones, game consoles and of course being able to configure an Apple TV with Smart DNS. Even still, when shopping around for a SmartDNS, be sure to review each SmartDNS thoroughly to ensure your devices are all supported. What is a Recommended SmartDNS? It is possible to purchase SmartDNS as a stand-alone service and there are plenty of companies that offer this. I prefer to take a different route. Did you know that a few of the high-quality VPN services also offer SmartDNS? It’s not the case for all of them, and often they don’t heavily advertise the SmartDNS service (since it tends to confuse customers), but it’s a wonderful bonus. StrongDNS, which is included with every StrongVPN account, offers an excellent SmartDNS service. They have a comprehensive library of setup tutorials for each device you might want to connect. It’s simple with no frills, but if you want to stream content quickly, it’s a great option. Give it a try and take advantage of the 30-day money back guarantee if you’re not satisfied. In addition to being one of the most popular VPNs in the market today, ExpressVPN also quietly offers SmartDNS to all of its subscribers. I say “quietly” because it’s not something that is advertised much, even within the user dashboard. When it comes to combining both a quality VPN and a flexible SmartDNS, 12VPN is excellent. More than likely, it’s not a service that you’ve heard of before, and that’s ok. I’ve been using it for a number of years and have been impressed by the level of service and communication from the 12VPN team. What makes 12VPN’s SmartDNS so special? It’s simple: unlike most of the other VPN/SmartDNS combo services I’ve used, 12VPN is the only one that gives me the option to change where I want my spoofed IP address to say where I am located. If you are someone who often travels internationally or currently live abroad, SmartDNS is a great option to help you access geo-restricted content. Even if you are not one of these types, SmartDNS can still be beneficial to you in giving you access to a much wider variety of content available for streaming around the globe. Give it a try and if you have any questions, leave them in the comments below! 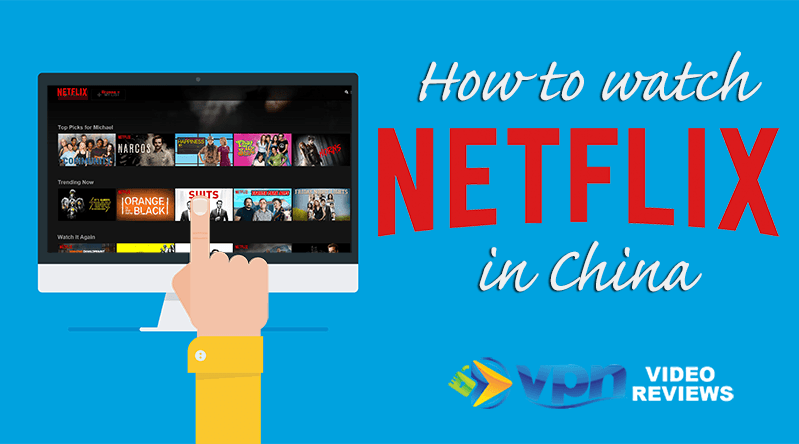 How to Watch Netflix in China (Despite Netflix Blocking VPNs)? 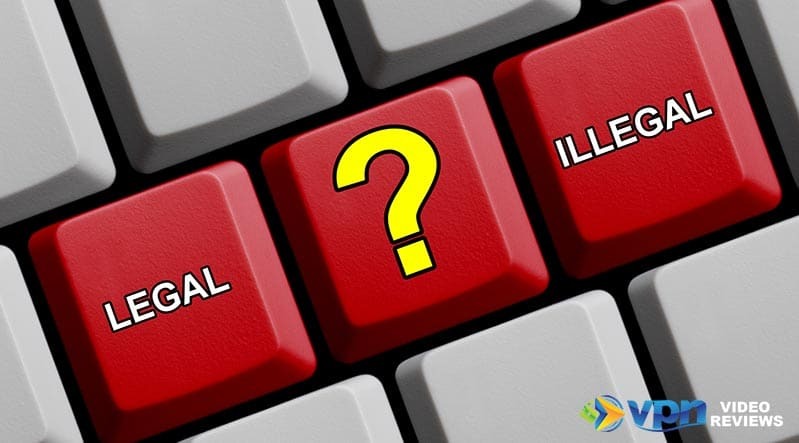 Is Using a VPN Illegal? It's Not a Simple "Yes" or "No"